With the theme, "The Heroes: A story of living traditions and culture towards growth and independence", Hinugyaw Festival 2014 is set to showcase the best of the City of Koronadal and it's people, give tribute to those who have contributed to what the city has become and provide avenue for its people from the 27 barangays to come together and celebrate. The weeklong Hinugyaw Festival 2014 which is also in conjunction with Koronadal City's 74th Foundation Anniversary starts today January 4, 2014 with a fun run at 4 AM and other major activities including the opening of Motocross Competition at Ladera Farm, Practical Shooting Competition in Brgy. Morales and the opening of PBM Chess Tournament at around 8 AM at Gaisano Grand Mall of Koronadal. Also scheduled today is the opening of Kasadyahan sa Dalan, a beer and food fest at Jaycee Avenue at around 4 PM and the event I am attending this evening, the pageant night of Lakambini ng Koronadal 2014 to be held at the South Cotabato Gymnasium and Cultural Center at 7 PM. Ten (10) lovely Koronadaleñas are vying for the title. Stay tuned for updates. The Agri Trade Fair at the front Parking Lot of the South Cotabato Sports Complex and the Grand Bazaar/ Trade Fair at Rizal Park are also on-going. 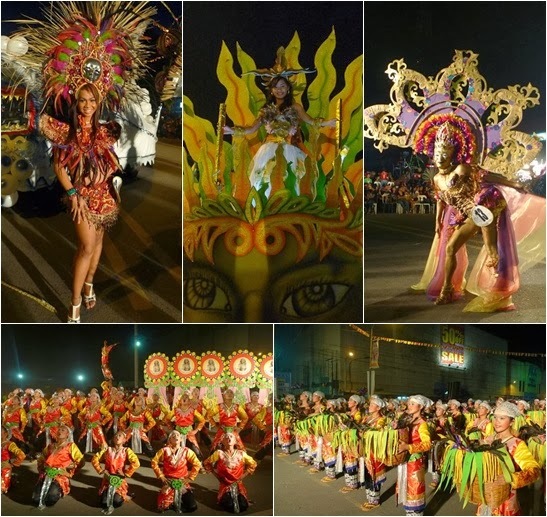 Piyesta Korona is a mix of street dancing, mardi gras, float competition and street party. I am most excited with this year’s edition of Piyesta Korona, one of the highlights of Hinugyaw Festival celebration. I was able to experienced it firsthand last 2012 and was really entertained by lively performances in the open street dancing competition, was able to witnessed the skills and talents of Koronadaleños in their version of colorful Mardi Gras and the float competition. Also looking forward to experience for the first time the foam party and disco sa kalye. "This is my official entry to the Hinugyaw Festival 2014 Blog Writing Contest."